Cows | Crappy Kitchen - Good Dinners! 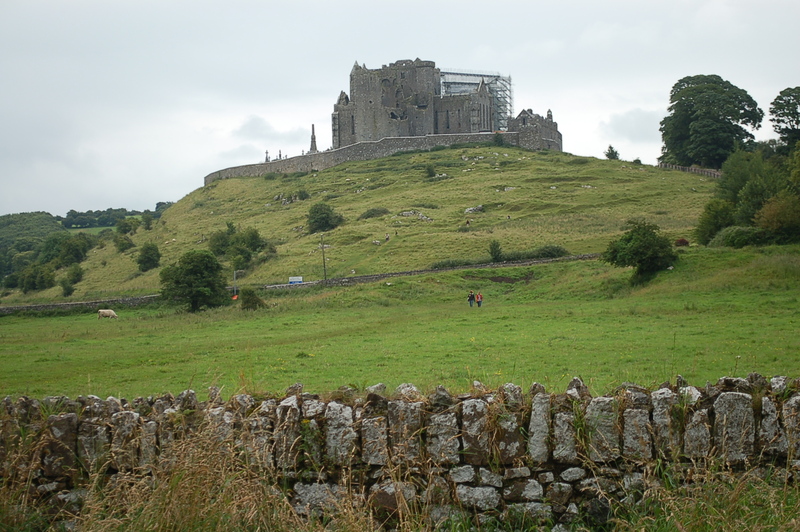 The other day, my kids and I ate lunch on a stony wall with a view of a magnificent 12th century Cistercian abbey on one side, and the medieval buildings of The Rock Of Cashel on the other. 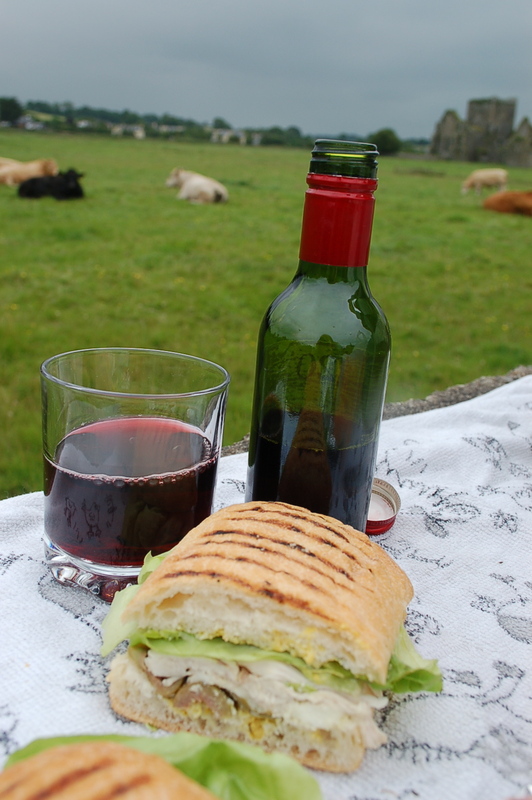 I have started a habit that I am quite sure will be a religious one until my Summer at home in Ireland ends, and that is to pack a lunch and enjoy it in an idyllic spot. Everyday I try to plan something fun and interesting for myself and my kids to do together. We usually look at the weather and then make a decision based on whether it is going to rain all day or not. This particular day it looked like rain where we were, however if I drove in a more south-westerly direction we might be lucky and find some sun; we did! The only thing that has interfered with these trips is just when we are in the middle of a great exploration of some ruined castle or other, or enjoying a museum visit, I get the request for food (my stomach also alerts me). If I don’t want to be in the company of cranks for the rest of the day I give in to the hungry pangs and leave in search of a restaurant. It became a bother, and so I discovered if I packed a nice lunch, it could be eaten on a whim almost anywhere. This has worked out brilliantly. I have loved introducing my kids to places that I spent my childhood visiting, while also having the pleasure of rediscovering them for myself as an adult. 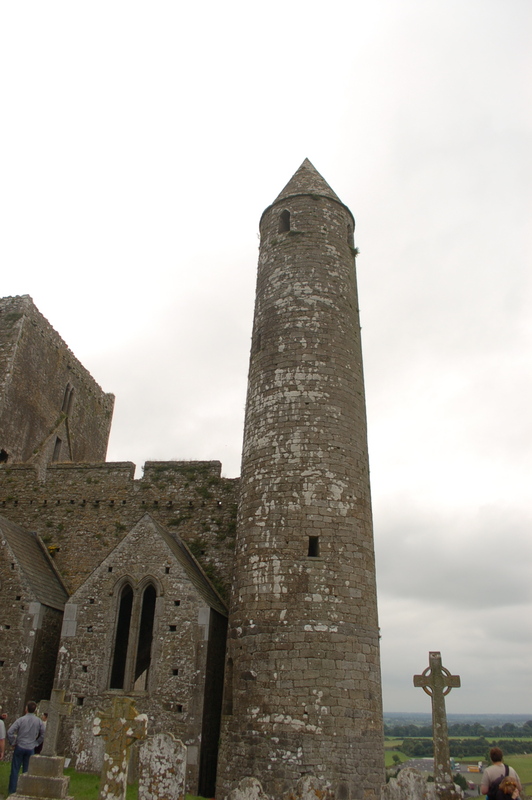 The Rock Of Cashel was certainly one of the places that I frequented on a regular basis, and up to now I had never taken my two children to see this wonderous, lonely looking outcropping of medieval buildings situated in the heart of Munster province. We got there in perfect time as a full tour of the whole site was getting ready to start. 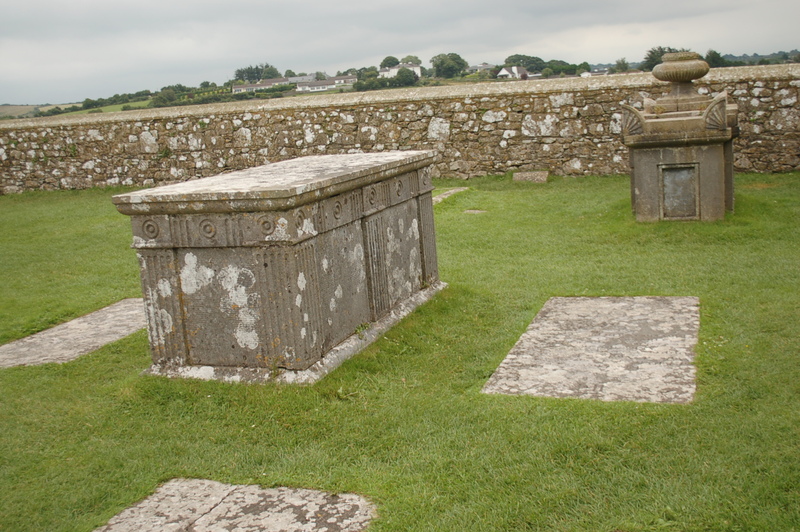 We had an amazing guide who went in to great detail both historically and architecturally, telling us about the unusual Hibernian-Romanesque Chapel, the recently discovered frescos, and how in 1101 the king of Cashel gave the entire place to the church, which may have been a clever political move. We were completely captivated from beginning to end and after the tour ended we explored further, taking pictures and discussing where we should have our lunch; we were ravenous. 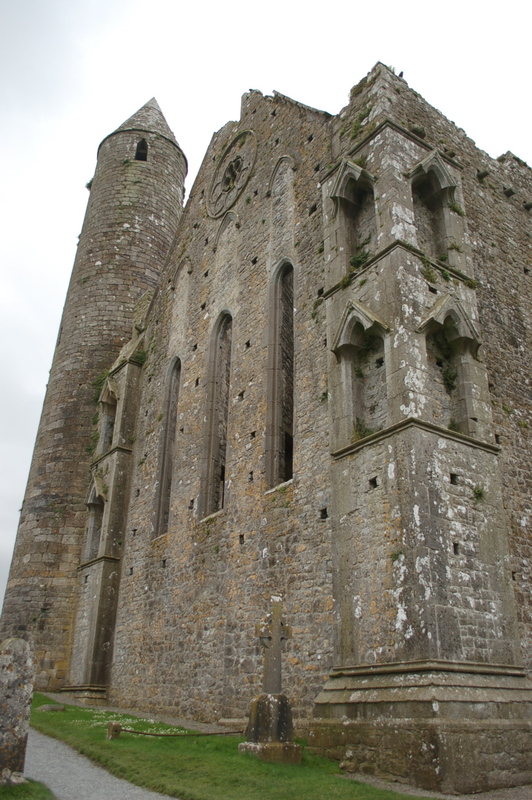 From one side of the fortified walls we saw another beautiful building, Hoar Abbey. It looked like it could be gotten to by trekking over a few of the adjoining fields, so we set off. We walked through the field below the Rock, and then hopped over a wall to another field. 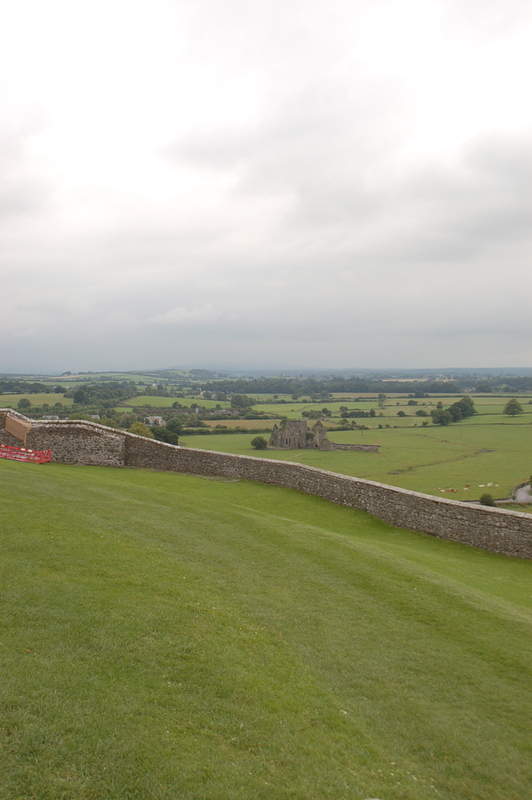 The abbey stood in the middle of yet another big field, surrounded by an old rock wall. The wall was deep and flat on top; the perfect picnic spot. I spread out my little teacloth and laid out all sorts of goodies, along with a little bottle of wine for myself. 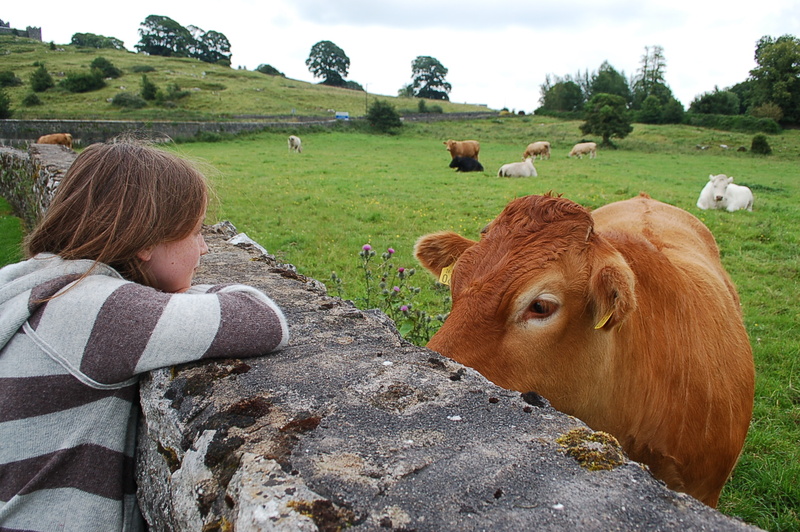 It was a glorious day, and as we sat on the wall munching our sandwiches, we were joined on one side by a herd of curious cows, who grazed lazily on hefty clumps of grass. As cars wound their way down the higgledy-piggledy road they greeted us with friendly waves. They may have been hungry also, and looking for an invite to our lovely wall! After we demolished every scrap of food, we headed down the road that led to a gate into the field. 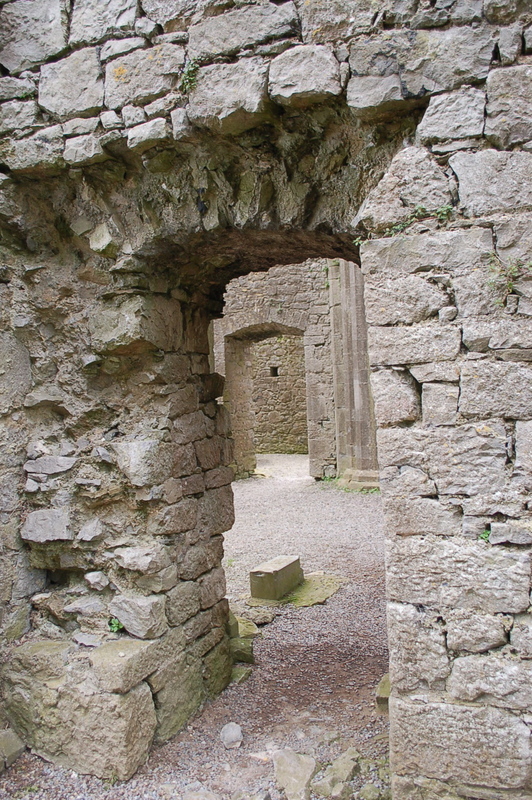 It was time to explore the ruins of the Cistercian abbey affectionately dubbed Hoar Abbey centuries earlier. Hoar refers to the type of frost that blankets the fields in this particular area of the country. Hoar frost is when the dew on the grass freezes and turns a frosty white color. I could so easily imagine how this holy place looked in the earlier winter mornings so long ago. We wandered around for a long time, taking in every thick wall, stone-carved door frame, and impressive gothic lancet window. 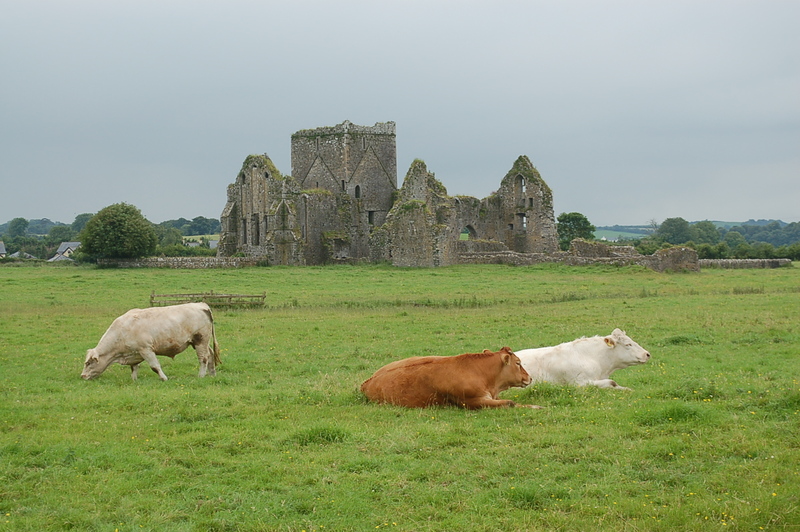 When we decided to make our way back to our car which was parked at the base of the Rock of Cashel, we ventured through a different set of fields, just for the fun of it. As we walked, side-stepping big ruts hidden in the long grass, and numerous pungent cow patties, I was conscious of how my kids voices rose and fell as they talked about all the new things they had discovered since they woke up that morning. And, I was the lucky one who got to be in their company.